To know the Lord Jesus Christ, we and all mankind must receive Him. And to receive Him, we must receive His servants. 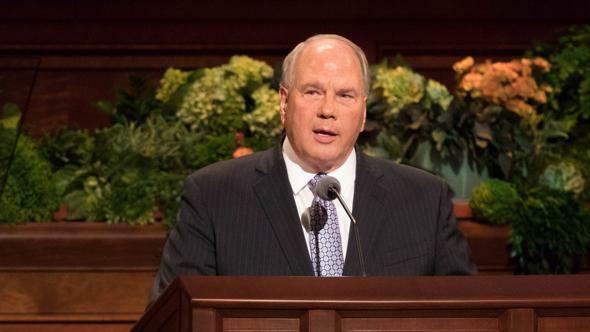 Almost 2,000 years ago, a rich young man asked an extremely important question of the Savior: “Good Master, what good thing shall I do, that I may have eternal life?” (Matt. 19:16). 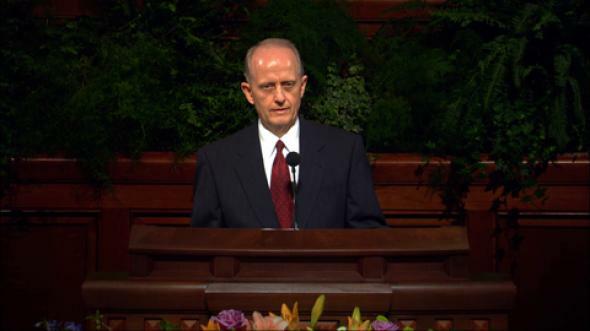 Having “heard” the Savior’s instructions and His gentle invitation to “come and follow me” (Matt. 19:21), the rich young man “went away sorrowful: for he had great possessions” (Matt. 19:22). Tragically, millions in the world today still prize and choose “the riches of the earth” over the “riches of eternity” (D&C 38:39), not knowing or fully understanding that “he that hath eternal life is rich” (D&C 6:7; emphasis added), and that eternal life is God’s greatest gift to man (see D&C 14:7). 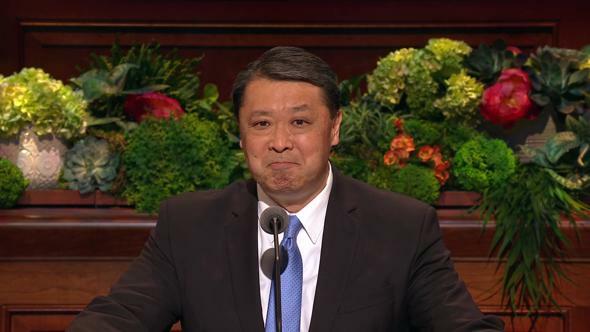 Simply stated, eternal life is to live forever as families in the presence of God (see D&C 132:19–20, 24, 55). 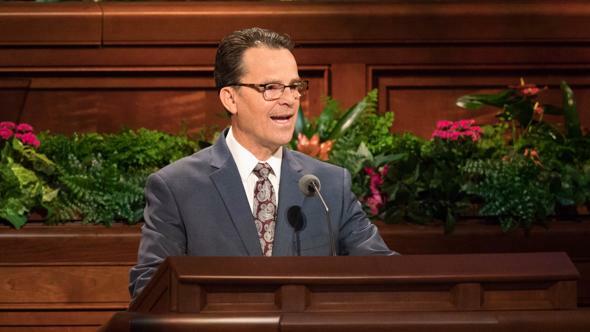 The Savior answers: “I am the way, the truth, and the life: no man cometh unto the Father, but by me” (John 14:6). I testify that the only way we and all mankind can come unto our Heavenly Father and know Him, and thus obtain eternal life, is to come unto the Lord Jesus Christ and know Him. “… He was the Firstborn of the Father, the Only Begotten Son in the flesh, the Redeemer of the world. 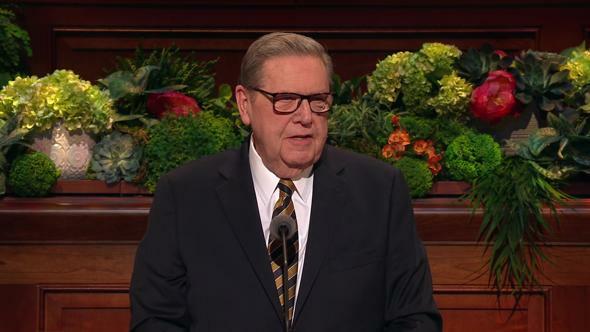 “… His priesthood and His Church have been restored upon the earth—‘built upon the foundation of … apostles and prophets, Jesus Christ himself being the chief corner stone’ (Eph. 2:20). 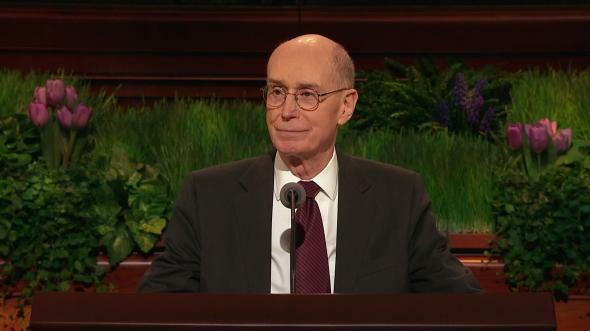 “… His duly ordained Apostles [bear testimony] that Jesus is the Living Christ, the immortal Son of God. He is the great King Immanuel. … He is the light, the life, and the hope of the world” (Ensign, Apr. 2000, 2–3). It is wonderful, and absolutely essential, to know who the Lord Jesus Christ is. But again, I testify that the only way we and all mankind can come unto our Heavenly Father and know Him, and thus obtain eternal life, is to come unto the Lord Jesus Christ and know Him. What does it mean to know the Lord Jesus Christ, and how can we come to know Him? 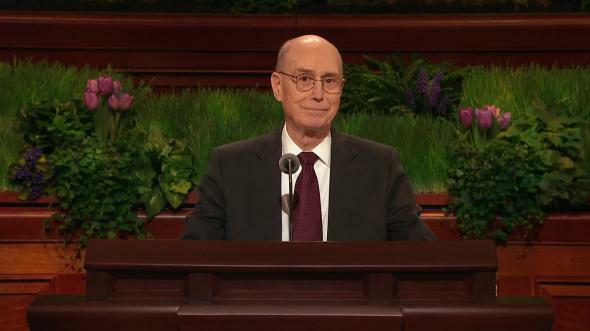 The Savior answers: “Strait is the gate, and narrow the way that leadeth unto the exaltation and continuation of the lives, and few there be that find it, because ye receive me not in the world neither do ye know me. But if ye receive me in the world, then shall ye know me” (D&C 132:22–23). Can we truly and fully comprehend His words? “If ye receive me”—the Great Jehovah, the Messiah, the Creator of the earth, the Savior and Redeemer of the world, the immortal Son of God—“If ye receive me …, then shall ye know me” (D&C 132:23; emphasis added). To know the Lord Jesus Christ, we and all mankind must receive Him. And to receive Him, we must receive His servants (see Matt. 10:40; D&C 1:38; D&C 68:8–9; D&C 84:36; D&C 112:20). 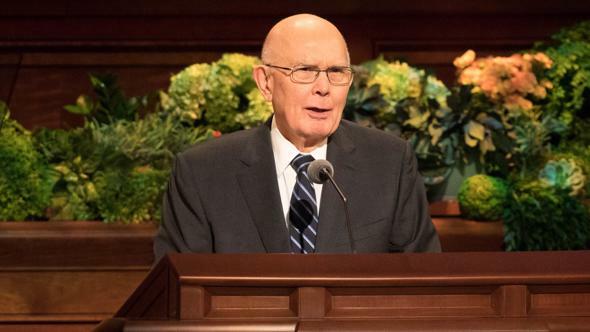 To receive Him, we must receive the fulness of His gospel, His everlasting covenant, including all those truths or laws, covenants, and ordinances needed for mankind to enter back into the presence of God (see D&C 39:11; D&C 45:9; D&C 66:2; D&C 76:40–43; D&C 132:12; D&C 133:57). 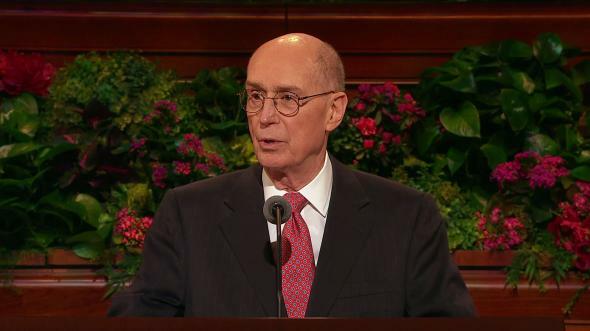 To receive Him, faithful sons of God must receive His priesthood, and magnify their callings (D&C 84:33–35). But ultimately, to receive Him and know Him, we and all mankind must, as Moroni exhorts, “come unto Christ, and be perfected in him” (Moro. 10:32; emphasis added). 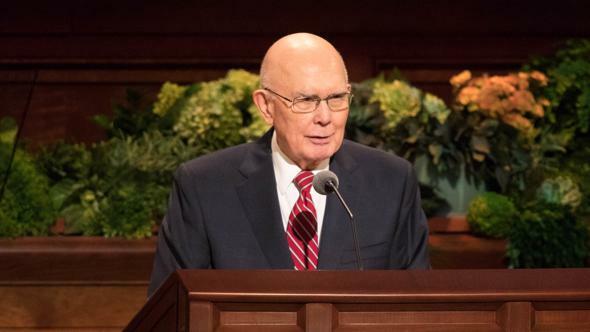 In other words, we must come unto Christ and strive to “become” like Him (see Dallin H. Oaks, “The Challenge to Become,” Ensign, Nov. 2000, 32–34). Said the risen Lord: “What manner of men ought ye to be? Verily I say unto you, even as I am” (3 Ne. 27:27). The meaning of the word ought, as used in His question, “What manner of men ought ye to be?” is crucial to understanding His answer, “Even as I am.” The word ought means “to be necessary” or “to be held or bound in duty or moral obligation” (Noah Webster’s First Edition of an American Dictionary of the English Language, 7th ed. , “ought”; see also Luke 24:26), suggesting—and the holy scriptures, ancient and modern, confirm—that it is “necessary,” and that we are “bound,” as by covenant, “to be,” as He declared, “even as I am” (3 Ne. 27:27; see also 3 Ne. 12:48; Matt. 5:48; 1 Jn. 3:2; Moro. 7:48). It is my prayer that the time may soon come “when the knowledge of a Savior shall spread throughout every nation, kindred, tongue, and people” (Mosiah 3:20; see also Moses 7:62; Isa. 11:9), that all who will may receive Him, even the Lord Jesus Christ, and know Him, that they may come unto our Heavenly Father, and know Him, and thus obtain eternal life, in the name of Jesus Christ, amen.